Young Riley Hughes was lost to pertussis at just 32 days old. Together, with his parents (via Light for Riley), we made this flyer in his honour. 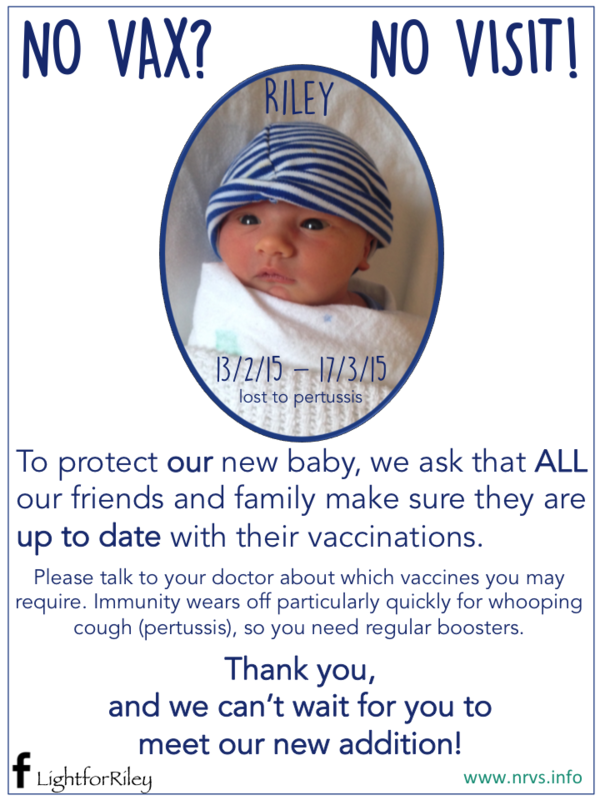 You can email, post it with your new baby cards, or hang it on your door. To download a free copy for printing, sharing, mailing out or whatever, click here. 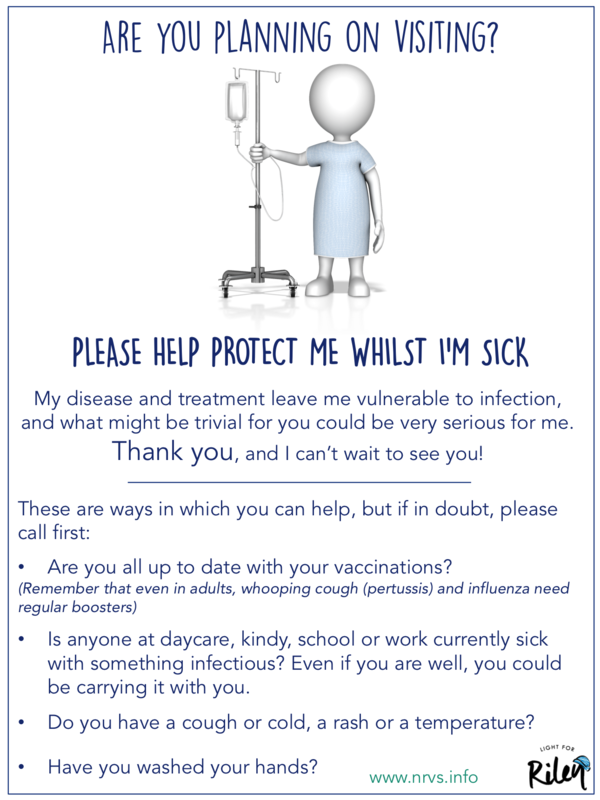 In addition to this No Vax? 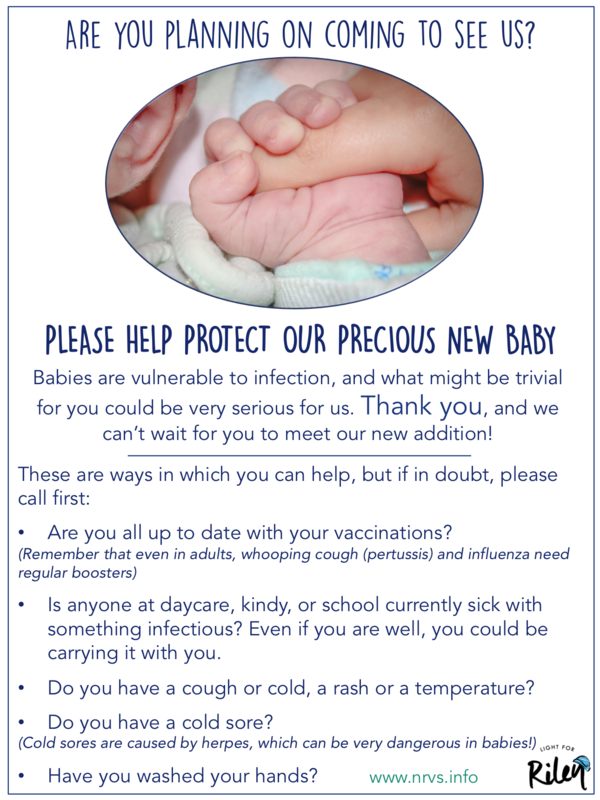 No Visit flyer, we have also made a more general flyer to share, covering some more ways in which your visitors can help protect your precious new baby from infectious diseases. This is also available as a PDF for printing here. Some people, for reasons of illness or treatment, may be vulnerable to infection (such as undergoing treatment for cancer). 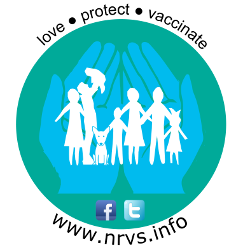 So we have made this for you, to help you let your friends and family know how they can help protect you. You can download a copy for printing and sharing here.